Parcel comparison site Parcel Hero believes British sales on Singles Day are likely to soar in value thanks to the ideal timing of the event, which lands on a Sunday this year. Singles' day was born in Nanjing University, where the large number of single males on campus celebrated November 11 because the date is entirely made up of the number one: 11/11. In China it’s known as ‘bare sticks day', a literal description of the numbers 11/11. Nanjing’s students continued the tradition once they had left university and spread it widely throughout Chinese society. Globally Singles’ Day already dwarfs both Black Friday and Cyber Monday: last year it saw sales of $25.3billion, against Black Friday/Cyber Monday combined sales of ‘just’ $14.48billion. Now Parcel Hero says the event, which originated in China, is perfectly positioned for bargain-conscious UK Christmas buyers shopping at home on Sunday, and traders looking to boost stock for Christmas. FX research director at OFX, Jake Trask said: "The UK is the second most popular overseas online destination for Chinese shoppers, with 55% buying something from the UK in the three-month period March – May 2017. For many British businesses, the opportunity for international retail events such as Singles’ Day to increase brand awareness and broaden their customer base will also highlight the appeal of developing a more comprehensive Chinese export strategy." Parcel Hero’s head of consumer research, David Jinks MILT, said: "The ultra-cheap postage prices from China could soon be a thing of the past, as Trump pushes the Universal Postal Union hard to reform unfair Chinese postage rates to the West. He’s set to leave the agreement inside a year if China’s rates are not raised. Many UK marketplace traders will be looking to make the most of the current bargain rates this Singles’ Day, while they last." Mr Jinks added: "Many well-known British retailers, such as New Look and M&S, have previously sold significant volumes of products in China on Singles’ Day through Alibaba’s shop window, Tmall. But this year we believe there will also be a boom here in the UK as well. "AliExpress, the eBay-style marketplace owned by Chinese e-commerce giant Alibaba, is already offering UK buyers a wealth of products on pre-order for Singles’ Day. Back in 2014 AliExpress’ mobile transactions in the UK rose 59% on Singles’ Day, and all the signs are pointing towards a similar boost this year. 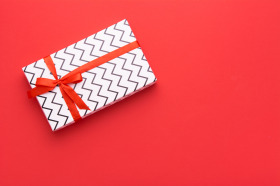 "The day is ideally timed for Brits: not only is it a non-working day, but, as the most common payday in the UK is 28th of the month, Christmas buyers will still have a paycheque to come before Christmas. As awareness of the event grows beyond China we are seeing UK, European and US retailers really starting to push more of their own Singles’ Day offers." Mr Jinks concluded: "Retailers and consumers alike are becoming very aware of the opportunities Singles’ Day offers. This year’s event is ideally timed for weekend shoppers, just at the start of the big seasonal spend."